You can invest in the finest materials, choose the most beautiful furniture and hang gorgeous art on board but, if the lighting is wrong, then your carefully selected interior design aesthetic can be ruined at the flick of a switch. This is especially true on superyachts where well-designed lighting can help make the most of small spaces. 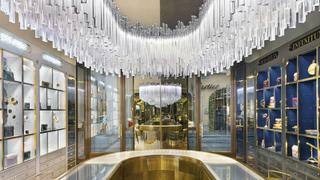 Italian firm Luce5 offers custom lighting schemes tailored to every space. With more than two decades’ experience, as well as projects for brands including Bulgari, Prada, Fendi, Boucheron and Ermenegildo Zegna under its belt, the Tuscany-based company boasts offices across Asia and Europe, including a specific yachting base in Viareggio, and is soon to launch in the USA. Luce5 invests heavily in research and development, meaning its product range is constantly updated with the latest technology and design know-how. As a result, Luce5 is able to assist clients with everything from simple custom lighting fixtures to complete design consultation in collaboration with your architect and interior designer as well as construction, installation and maintenance. All of its electrical work is done in-house, enabling complete control of the process and ensuring the utmost quality in the end product. When it comes to superyachts, Luce5 is particularly well equipped, with an entire product line created specifically for the needs of a marine environment. 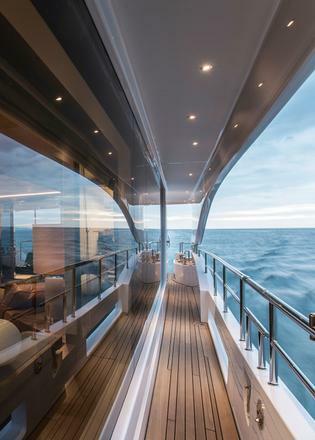 Debuted at the Versilia Yachting Rendez-vous in 2017, the 12-strong range of nautical fixtures includes options for ambient recessed lighting, tools for safely fixing lamps to surfaces, in-cabinet fixtures for galleys and storage, invisible trimless designs and a linear system for wide coverage ceiling lights. The collection even includes three designs suitable for outdoor use. Luce5 will also be at the Versilia Yachting Rendez-Vous 2018 where one of its recent projects with Benetti will be shown. As well as on superyachts, Luce5’s work can be seen at retail stores and offices across the world. Take, for example, Bulgari’s fine jewellery boutique on the Via Condotti in Rome. A particularly difficult task thanks to the importance of good lighting for showcasing diamonds and other precious stones, Luce5 was responsible for the complete design and installation of the lighting fixtures and systems throughout the boutique. This included the creation of La Giostra, a bespoke lighting system that subtly alters the angle of light directed on to a specific piece of jewellery so that it sparkles as if being worn by a real person. 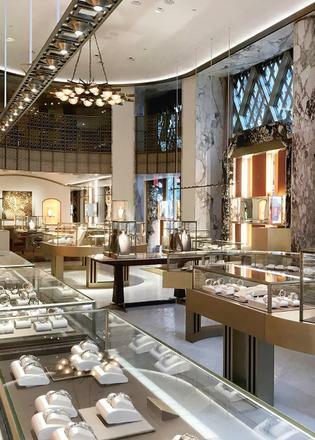 Another notable project that demonstrates Luce5’s expertise is the showstopping illuminated facade of the Bulgari store in New York, for which it collaborated with Arch Spadaro, from Peter Marino Architect NY, and Metis Lighting. Luce5 was responsible for the design, electrics, wiring and supply of lighting fixtures, as well as the animation control systems. Luce5 also produced the lighting for the Prada outlet in Reggello, implementing an app that allowed the illuminated facade, created on a large scale and in a variety of colours, to be controlled by a smartphone or tablet. The finished product offered Prada the opportunity to display showstopping large-scale light shows across the store front - an effect more than enough to make your superyacht stand out in any marina.